Over half the population struggle when it comes to getting a good night’s sleep and there are a variety of different things that can contribute to sleepless nights. Whether it’s because of a poor diet, lack of exercise, an over-active mind that won’t shut-off, or a poor choice of mattress where you find it hard to find a comfortable position on. The key to a successful sleep is to try and combat all these obstacles but it all starts with the bed itself, and what kind of mattress you are using. Generally the cheaper and less expensive mattresses are good for the short-term but more often than not these type of mattresses are made from coil springs which over time will snap, break or rip through the mattress material. Our advice is that you shouldn’t compromise when it comes to a mattress, and investing wisely may mean that you are spending more than you first envisioned but it will benefit you in the long term. Latex mattresses in particular are a type of mattress that is becoming increasingly popular in society, not just because they are comfortable but because they also have plenty of other benefits that we are going to discuss in a few moments. What About Memory Foam vs Latex? 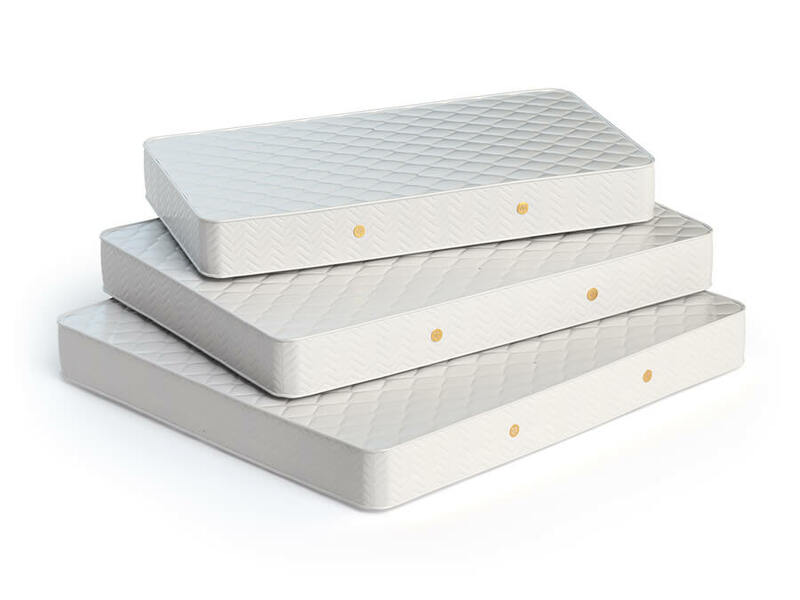 Latex mattress is one of these mattresses we rarely tend to look at, its either coil spring or memory foam however latex mattresses are becoming more and more popular, despite the high price that they still carry. Firstly, there are 3 types of latex mattresses, you have 100% natural latex which carried the highest price tag, natural latex which has to be at least 80% natural latex, and then at the bottom end of the scale you have pure latex which has to contain 20% natural latex. In terms of its benefits, this is really where it comes into its own against competition materials. You see latex will instantly rebound when you move to a different area of the mattress, rather than memory foam which will retain your body imprint for some time after until the foam has cooled down from your body heat. This is because latex, unlike memory foam, doesn’t need to be warmed up to work. Better still, latex mattresses will usually last a good 20 years before you need to have them replaced. As we briefly discussed the pricing factor can play a major part in people’s decisions and you are looking to buy a 100% natural latex mattress then you need to be prepared to shell out an average of $2,400 for the top end lines. However, before you have heart-attack at the price some latex hybrid mattresses can be purchased for as little as $850 and you have to remember that these will last you the best part of 2 decades. 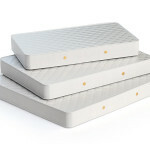 If you add up the cost of 3 coil spring mattresses that you will probably buy in the course of 20 years you are going to be close to that price anyway, the only difference being you are going to get a much better sleep on a latex mattress. The biggest property of latex mattresses is that it will help pressure point-relief and any back pains or aches that you experience. Therefore, those with these conditions will find a real benefit in getting a latex mattress as the bed tends to prevent and reduce these types of general pains. 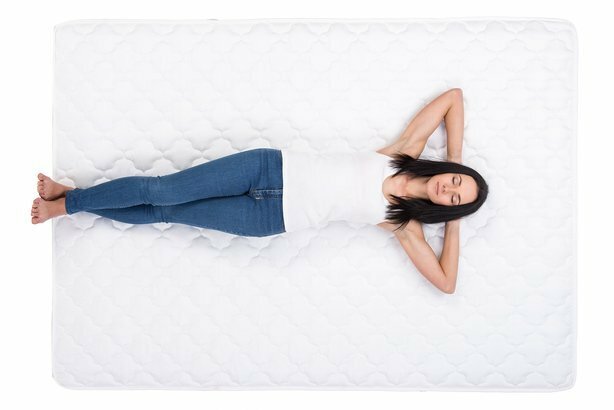 When you compare that to the likes of your standard coil spring or pocket spring mattresses it just makes the decision much more easier to go for a latex mattress because you just don’t get that same kind of support from those cheaper models. Finally we are going to look at these two big guns against each other, and whilst they are both good in their own ways there are differences between the two that you need to know about. The first is that memory foam is great for optimal blood flow; pressure relief and posture support but isn’t so good for cool sleeping or clean air. Latex however is natural, which is great for those that are more greener minded, offers cool sleeping, clean air and posture support with good pressure relief. So there isn’t much that differs here with the two but if temperature means a lot to you then latex is going to be the better choice because of that low voc clean air feature. In terms of price both these styles of mattress carry a much higher price tag than coil springs, but again, they both tend to last much longer because they aren’t prone to breakages. Therefore if you invest in latex you are going to find you get a much better sleep at night.